Hoverboards became the trendiest products in 2015 and 2016 and they are still the hottest gadgets even in 2019. However, at some point they were shunned because of poor safety features but that has been sorted out and now they are safe for use especially for children. With several brands out there, you might get confused when it comes to choosing the right one. 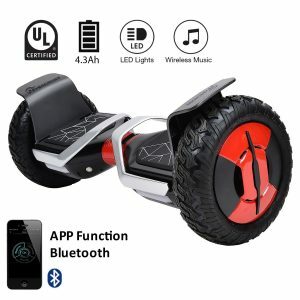 It is for this reason that we have compiled a list of top 6 fastest Hoverboards and self balancing scooters in 2019 that will be worth your penny, time and effort. 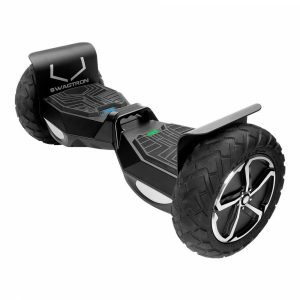 Weight capacity: when shopping for a hoverboard it is important to know how much weight it can handle. You will find that the minimum weight capacity of hoverboards is 44lbs while the maximum can go up to 220lb to 420lbs. Make sure that you shop for the right one with your body weight in mind. Age: most manufacturers recommend children with age minimum of 8 years to use hoverboards. Others advise the minimum age should be 13 years. If you have a younger child, do not let him/her use the hoverboard or self balancing scooter without supervision. Pricing: hoverboards come in different brands and therefore they have different prices. A standard size will cost around $250 while the bigger ones can cost around 450-800 dollars. You should be aware of cheap knock-offs in the market as they are sometimes unreliable and will break down fast. Consider the quality and get the best deals. Safety: this is the most important feature you need you consider. Always ensure that you go through the safety manual and select brands that are known to be safer for you or your kids. Ensure you go through reviews and find out what other users are saying when it comes to safety. In addition, ensure that it is UL 2272 certified for safety otherwise it will overheat or even catch fire. Speed restriction: speed kills! And this is why it matters for you to know the speed restriction of your hoverboard. We are all thrilled by speed sometimes, and we find it fun. However, in certain environment, you should lower your speed and your hoverboard should have this feature, in order to avoid accidents. Self-balancing feature: this is one of the most important aspects of any brand of hoverboard. With previous models, kids used to fall down and scrape themselves because these models lacked this aspect. However, not every manufacturer has incorporated this feature. Therefore, be keen to choose brands that are self-balancing for your little one’s safety. Warranty: when spending money on any item, you always expect to get the best out of it. The same goes for hoverboards. Ensure the one you have chosen have warranty information in case of malfunction or defects, you will be able to return it to the manufacturer and solve the issue. Lights Features: ensure that the hoverboard has light features and ensure that they are brilliant enough to be used at night. They are safe: unlike previous models which would suddenly catch fire, these new models are made with high quality materials that are safe for you and your family. They are fast: hoverboards can easily accelerate to reach a maximum speed of 12mph which is fun when using riding down the lane or even at home. They are versatile: hoverboards are not only for children, they can also be used by adults. This ensures that you have maximum family fun for all age groups. 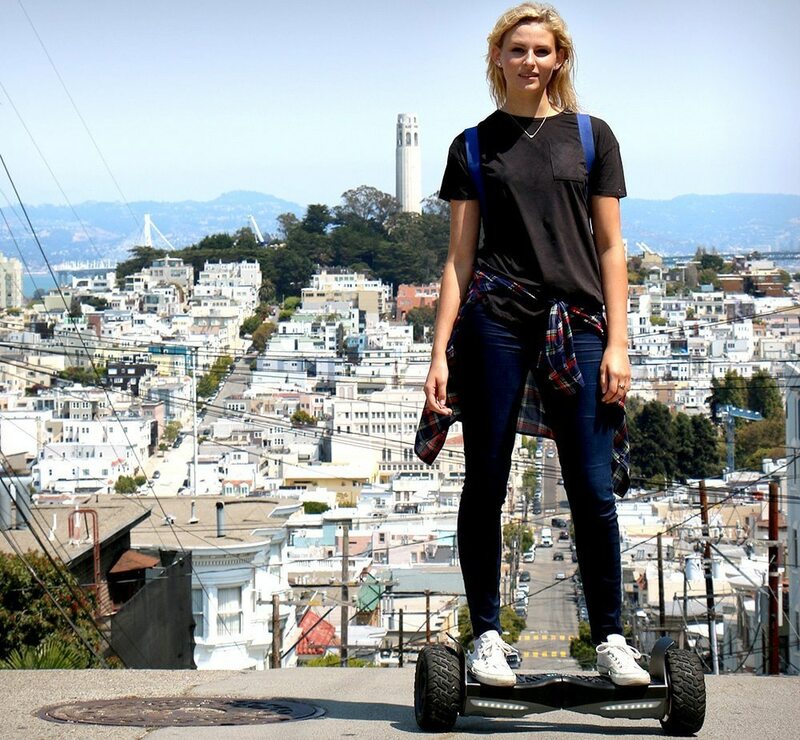 Evercross is a hoverboard that assist you to keep your self-balance very well. It’s certified and highly examined for its safe usage and high performance. It’s very great to roll on any rough and raised areas without encountering any problem. It doesn’t create heat that may affect the feet or causes harms to the gadget either. When you step on this hoverboard, you could appreciate its 15 degree lolling specification which appears to be fun. It comes with a technology of two balancing wheels that easily roll towards or reverse preventing you from sliding also. This 2 wheeled scooter permits you to ride up more than 17 km and travel with 12 km per hour. Gyroor Company has been dedicated to create Hoverboards that are fun ease of use and safe, making your family have more happy memories. With this hoverboard, it will bring your vision into reality. The hoverboard has been UL certified and tested for more safety for all level of riders. Gyroor Warrior is created with durable aluminum and ABS parts to make sure that they have strong body that can stay for long period of time. 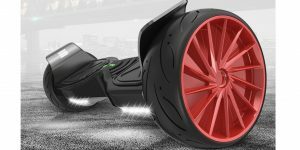 This indicates that you can utilize the hoverboard for many years without bothering the durability of the casing. This Scooter is loved by many people because of its new design, safety certifications and new technology. Its main concern it to provide safety and operator experience, its 100% certified for safety. It has P56 grade strong rubber over the solid 8.5-inch aluminum wheels makes this scooter to be comfortable in different terrains. It has big foot pedals that give you more space to ride. It has bright LED lights that are perfect for nighttime riders; you can also enjoy their favorite music because you just need to connect your device with its Bluetooth speakers. This self-balancing transporter has 800-watt double motor that is designed to go through slopes and other obstacles ensuring your stability and safety. The gadget is very simple to carry and can be easily be stored on the car trunk. It has a top speed of 10 mph. You can likewise connect this transporter to your phone through Bluetooth for remote control operations. The MiniPRO is made to simply traverse a most of the outdoor and indoor terrains. The gadget is Ul 2272 certified hence it meets all the standards of electrical and fire safety. The knee control bar is well padded allowing the riders to operate this electric scooter very comfortably. Just like the name suggests, this hoverboard is a “swaged up” machine that will have all the neighbors eyes stuck on you when you skimming down the estate. It is made with aluminum exterior and ABS plastic inside to help protect the interior components. The large 10 inch tubeless tires have rugged tread patterns that offer maximum traction and grip. It is powered by lithium-ion batteries that take 2 to three hours to fully recharge. With this hoverboard you can listen to your favorite music thanks to the included Bluetooth speakers. It is also UL2772 certified; therefore you can ride with confidence. In addition, it features a 12 mile range and a maximum speed of 12mph. Additionally, it comes with LED lights and a battery indicator therefore you don’t have to keep guessing when to recharge it again. It has a minimum weight capacity of 44lbs and a maximum weight capacity of up to 420lbs; therefore it can be use by everybody with different shape and size. 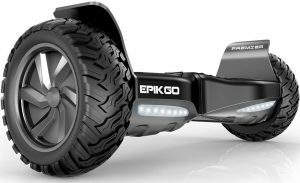 This is another amazing hoverboard by Epikgo. It is recommended for use by children who are 13+ years. It is also UL 2272 Certified therefore very safe. 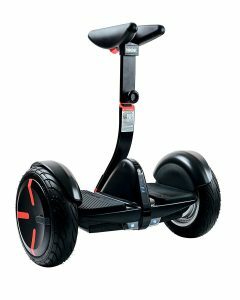 It uses 400W dual motors that allow climbing slopes as steep as 18 degrees and can go over 10 miles on a single charge. The solid rubber tires are rated IPX56 for sturdiness and water resistance. They easily contrive through, mud, sand and grass. It is also larger than most brands. The in-built battery features a 2 hour fast charging technology, which is very convenient. The body is made from aluminum allow therefore it is highly durable. This product also comes with 1 year limited warranty. 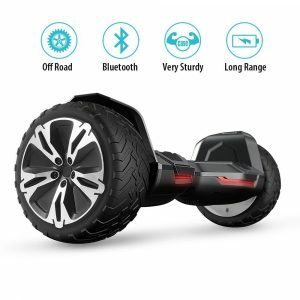 Choosing the best hoverboard and self balancing scooter is no longer a problem when you have gone through this comprehensive review. We believe with every bit of information included here, you will be able to figure out which one is tailored to fit your needs, and use features such as speed, self-balancing and other factors to settle on the best one for yourself and your family.